I would like to rent a 2 bedroom condo or house near the Hospital Clinica Chapalita. I will arrive on January 9th, 2011 and depart January 20th. 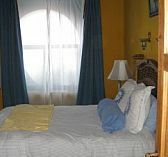 It must be furnished, have a full kitchen, one or more bathrooms, wireless internet, washer dryer, telephone service, maid service, towels/linens, and parking. Please post your contact information and I will reply.